Grate the Fels Naptha Bar of Soap (I used my food processor to grate mine, but you can also use a box cheese grater if your biceps are in need of a workout). 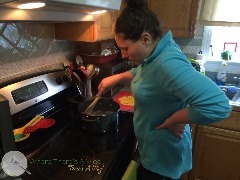 Bring 4 cups of water to a boil and add the grated soap one handful at a time, mixing with a wooden spoon until completely dissolved. Melt 1/2 Cup of Downy Unstoppables with 2 cups of water until completely dissolved. Combine all ingredients in a 5 gallon bucket and fill half way with water. (For you math majors that 2.5 gallons) This is where things start to get fun. 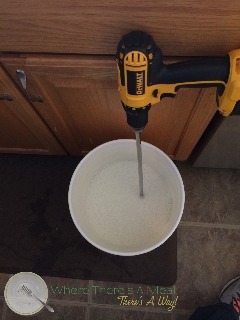 Bust out your power drill and paddle and mix until all ingredients have dissolved. Don't have a power drill or paddle? 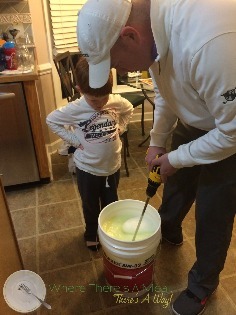 Use a yard stick and mix thoroughly.... think churning butter. Cover with a lid and let sit for 24 hours. After your detergent has marinated overnight, open the lid and you will see that part of your mix has turned into a gel brick. 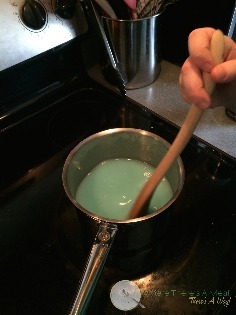 Using your power drill/yard stick, break up the gel and mix together until the mixture is uniform in consistency. 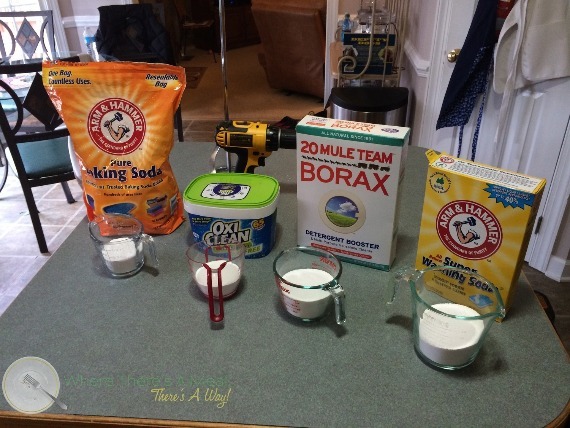 Using a funnel, pour the detergent into a container and mix with water. (For our batch we did 3 parts detergent to 1 part water.) Word to the wise, save your old detergent containers and ask you friends and family to save theirs as well. This will give you plenty of containers to store your detergent! 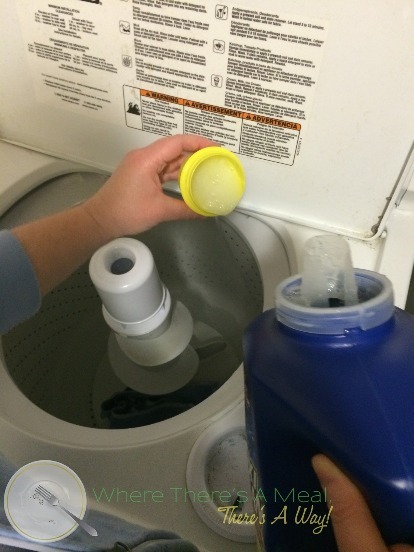 To Wash Clothes - Add 1 to 1 1/2 cups of detergent to each load and wash as normal.